CTE ZED21 access hire – Call for our best prices. 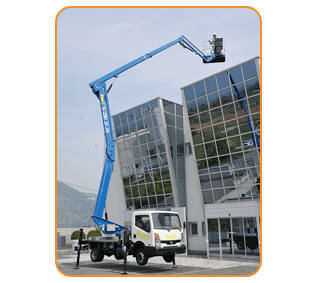 The ZED21 JH self-drive truck mounted access platform offers a working height of 20.7 metres on a 3.5T chassis. The CTE Zed 21 JH has an impressive 300kg work platform capacity for up to two people with materials. Well suited to work in built up areas, the Zed21 JH has continuous turret rotation and 160 degree cage rotation. Our experienced MC access equipment hire operators will help you complete your work safely and efficiently.